Barter Books : Brewster, David : The Edinburgh Encyclopædia [Encyclopaedia]. 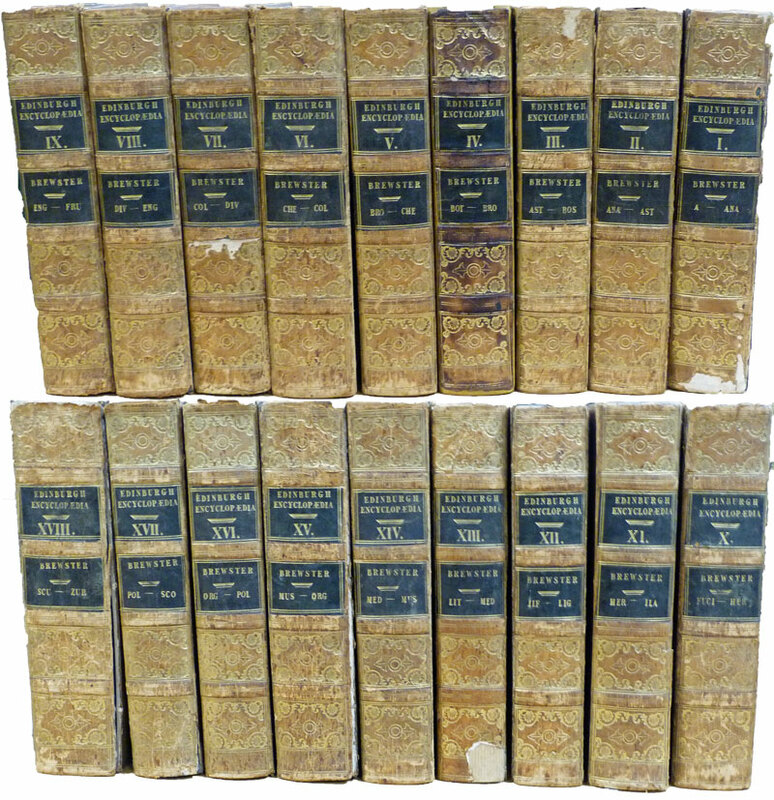 18 volume set. 525 engraved plates and 13 maps. 270 x 210 mm (11 x 8 inches) - 13,885pp. G : in Good condition. Cover rubbed with minor abrasions. Some backstrips rubbed with cracking with minor loss to volumes 1, 3 and 13. Volume I upper board becoming detached but holding. Volume 4 rebacked using original backstrip. Some staining and light foxing but overall tight and G+. Heraldic bookplate of Coulthart of Coulthart and Collyn 'Virtue non Verbis'.